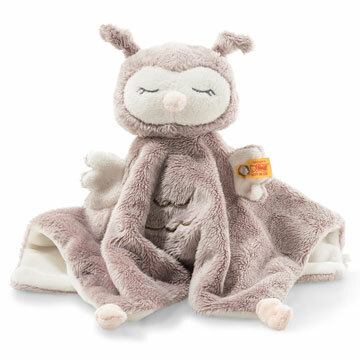 Steiff's Largest USA Authorized Shop! 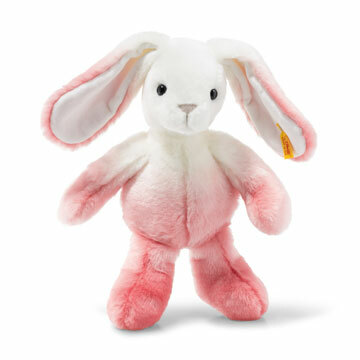 Best Store To Buy Steiff Bears, Teddy Bears, Rabbits, Dogs, Cats, & Fun Animal Friends. The Steiff Club is something really special. Here countless enchanting animals can meet people who have kept young at heart. Here the pleasure in something special is tended and maintained with much enthusiasm because the exchange of Steiff experiences, personal memories and stories is so contagiously happy and alive. 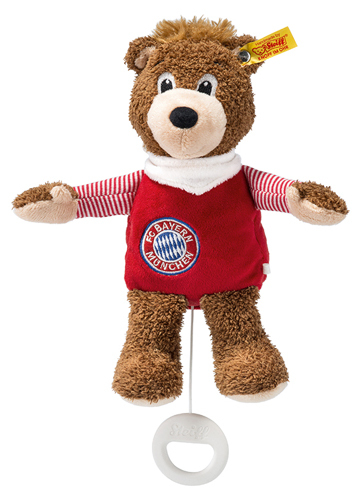 Yes, there is only one Club in the world where everything is all about Steiff animals. - Welcome to the Steiff Club! 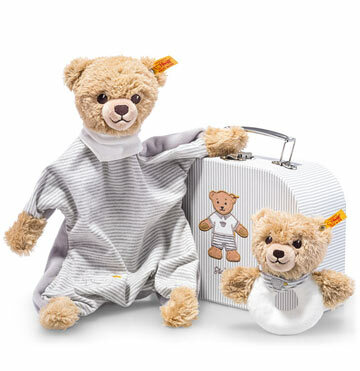 Being a Club member entitles you to purchase Steiff Club editions including the Steiff 2019 Annual Club Bear, the Steiff 2019 Event Bear (shown above) and special editions such as the magnificent Steiff Noah's Ark set. 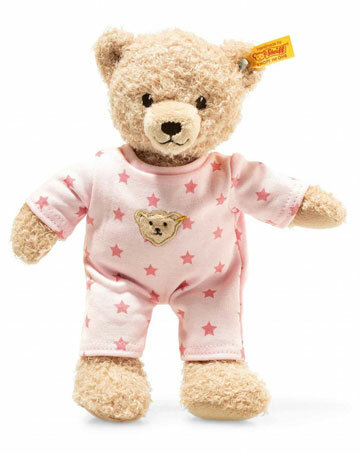 As part of your Steiff Club membership or renewal, you will receive a precious 4 inch Teddy bear created to pair with the Annual Bear and the Event Bear. By purchasing or renewing your Steiff Club membership at The Toy Shoppe, you will be awarded added benefits that you will not find anywhere else. 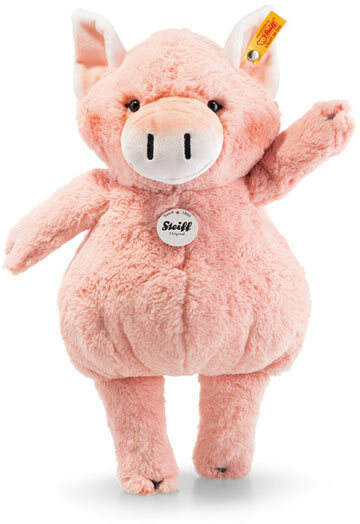 Special offers throughout the year will be available ONLY for members who have joined or renewed their Steiff Club membership through The Toy Shoppe. 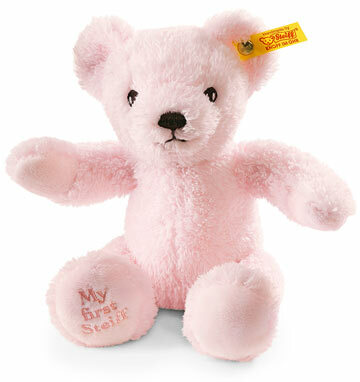 We here at The Toy Shoppe love Steiff and hold dear the many treasures they have created over their long history. So one of the nice aspects of being at The Toy Shoppe has been to combine our insight into Steiff with our own imaginations to create special exclusive editions just for our Toy Shoppe customers (who we know share our particular affection for these marvelous friends). After we present our ideas to the Steiff designers, they add a bit of Steiff magic and bring them to life. 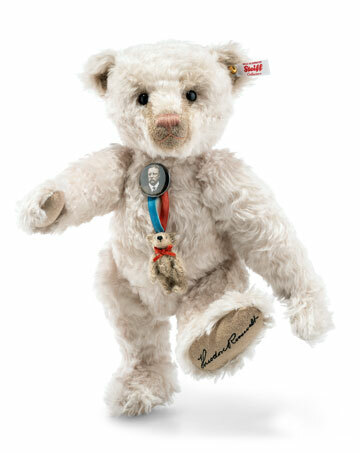 It has been our true joy to work with Steiff to create pieces that are both appealing in their own right as well as having historical significance for the collector. 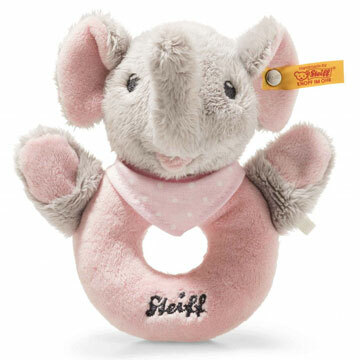 Our exclusives are firmly grounded in the Steiff philosophy that has delighted generations around the world. 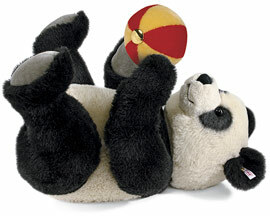 We focus on the importance of Steiff and what we feel makes a particular Steiff piece special. For 2018, our new Teddy is an extraordinary addition to our family of Steiff exclusives. With the warmth of his custom Schulte mohair, he brightens up the entire room. He is the perfect size to hold-and-hug and also has a long, rich voice. One unique feature is his medallion. Inspired by the bear head paper chest tag used on Steiff friends for over 50 years, we have created a fine metal medallion in the design of this tag. Instead of having the bear's name on this medallion, you can personalize you medallion with you name, dates, message... anything you want! 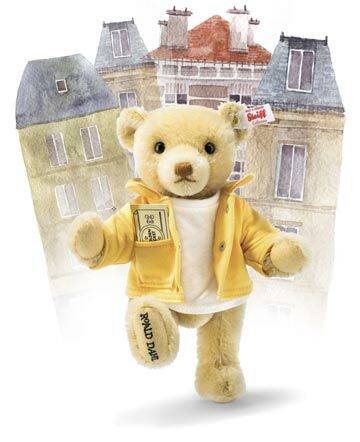 You Steiff Teddy will be uniquely yours! Originally an inanimate snowman that Anna and Elsa built while playing as children, Olaf then came to life when Elsa unleashed the full extent of her powerful magic. He's funny, loyal, and extremely friendly! After teaming up with Anna, Kristo, and Sven in an epic journey to save Elsa and the Kingdom, Olaf becomes a cherished part of Arendelle's royal family. It is a story that has taken the world's breath away! Mrs Brown bent down. â€œYouâ€™re a very small bear,â€� she said. â€œIâ€™m a very rare sort of bear,â€� he replied importantly. â€œAnd where is that?â€� asked Mrs Brown. Michael Bond based Paddington bear on a lonely Teddy bear he noticed on a shelf in a London store on Christmas Eve 1956, which he bought as a present for his wife. The bear inspired Bond to write a story; A Bear Called Paddington - first published on October 13, 1958. Little could he have known then how many people from around the world would come to know, love and adore his small bear from darkest Peru. "Paddington is eternally optimistic and always comes back for more, no matter how many times his hopes are dashed," "It's simply the joy of a little bear who is an outsider getting into scrapes and mishaps - always with the best of intentions - and coming out on top every time." In 2018, a major motion picture, Paddington 2, was released to the delight of Paddington fans everywhere. On the website of movie reviewer ROTTON TOMATOES, the website's critical consensus reads, "Paddington 2 honors its star's rich legacy with a sweet-natured sequel whose adorable visuals are matched by a story perfectly balanced between heartwarming family fare and purely enjoyable all-ages adventure." 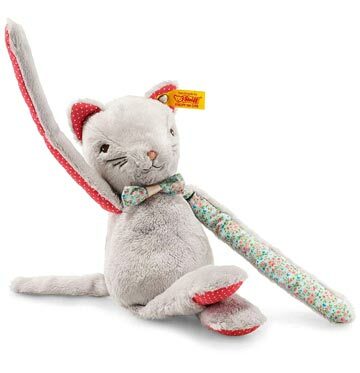 Inspired by Quentin Blake's original illustrations, Steiff brings the beloved character to life with their heart-warming interpretation of Charlie Bucket, the famous "Charlie" from Charlie And The Chocolate Factory by Ronald Dahl! Roald Dahl was a prolific writer whose many stories have been enjoyed by millions around the world. 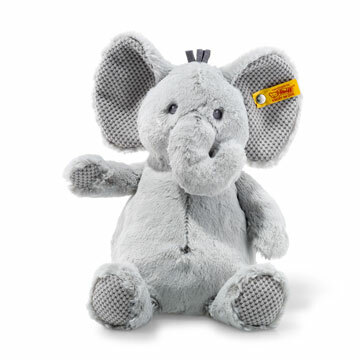 Steiff has created several other extraordinary white tag limited editions by Steiff based upon Roald Dahl's books including: BIG Big Friendly Giant, Willy Wonka and Charlie Bucket. 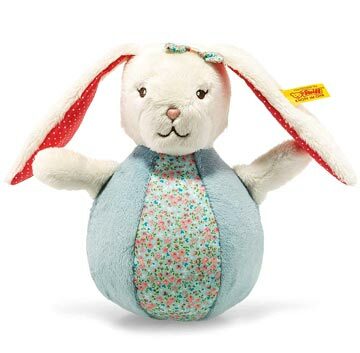 Though famous for their Teddy bears, Steiff also has over a century of experience crafting fine soft rabbit friends for children around the world. 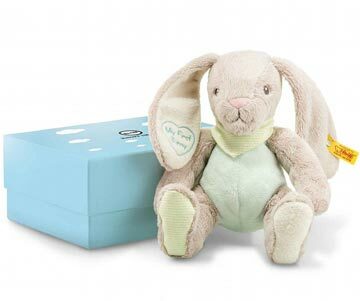 Many of the limited edition Steiff rabbits are extraordinary and use the finest materials such as Steiff-Schulte mohair and alpaca. 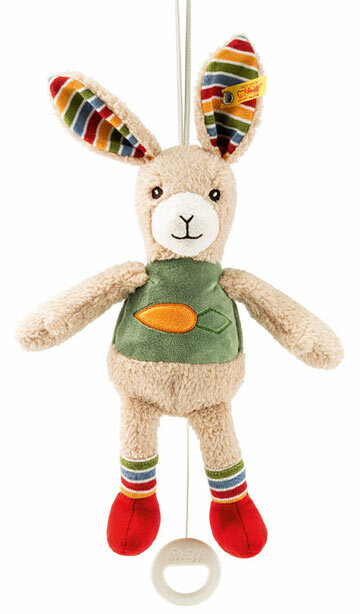 From Peter Rabbit and Mopsy Bunny( from the hit movie) to the limited edition Benny Springtime Bunny EAN 683626 to the adorably petite Sonny Bunny, Steiff has created a hare that suits ever taste! 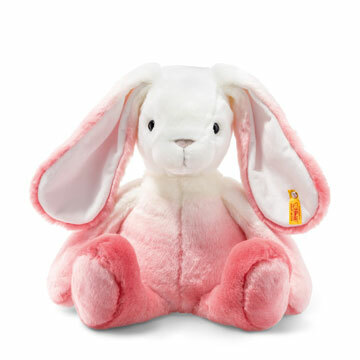 At The Toy Shoppe, you'll quickly discover a rascally rabbit, a comely cony, a BFF bunny or a happy hare to brighten your day! When the doors first opened at our new shop in 1975, we were thrilled that the very first box we opened contained a Steiff Teddy bear. After forty years, we still have that same passion for Steiff Teddy bears and have shared it with thousands of Steiff enthusiasts around the world! It has been our pleasure. 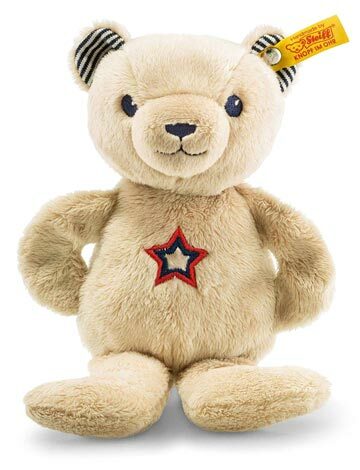 With our due diligent to offering the full line of Steiff Teddy bears, collectible limited editions, special editions, children's toys and baby toys, The Toy Shoppe has earned the status of Best In America. We are very proud of this distinction and know that we owe this recognition to all of our friendly, knowledgable staff who love Steiff as much as our collectors. The Steiff Club was designed for those who love Steiff and are looking to expand their Steiff knowledge, activities and opportunities. The club includes the Steiff Club magazine, invitations to Steiff events and special edition Teddy bears and animals. 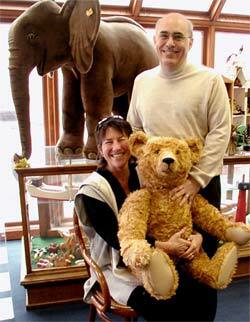 The Toy Shoppe is the best place for collectors to join the Steiff Club. Being designated officially as an Authorized Steiff Club Store allows us to provide you with a new Steffi Club membership or a renewal of your existing annual membership. 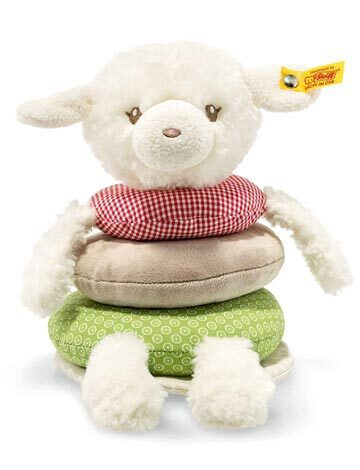 We are the best source for all of your special Steiff Club editions and offer all the services you expect from us like easy AMC payment plans, terrific packing on your precious Steiff bear and fast shipping to your home. 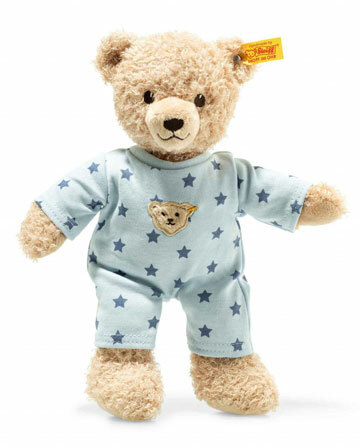 The Toy Shoppe is always your best shop to buy Steiff Teddy bears and animal friends! 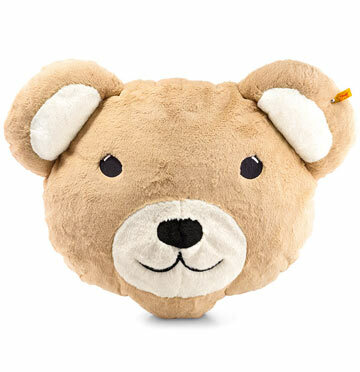 We know you will enjoy this fun video featuring Steiff's Nodding Bear. He has a secret... do you know what it is? 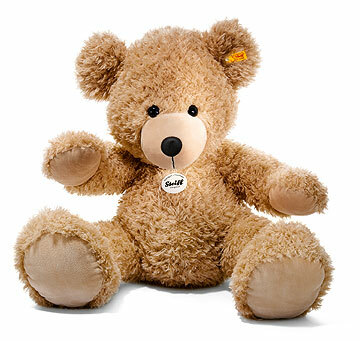 The Toy Shoppe is your best shop to buy Steiff Teddy bears in the USA. 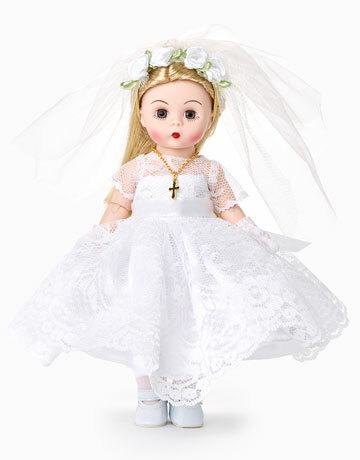 You'll enjoy shopping our huge selection of White Tag limited editions, Yellow Tag open editions and exclusive editions available only at The Toy Shoppe. 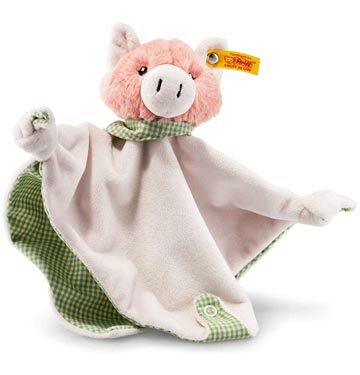 We offer a great selection of North American exclusives, Worldwide editions, and even Steiff European exclusives. If you are looking for hard-to-find retired editions, call us toll free at 1 800 447-7995. We have a great selection of rare retired editions. 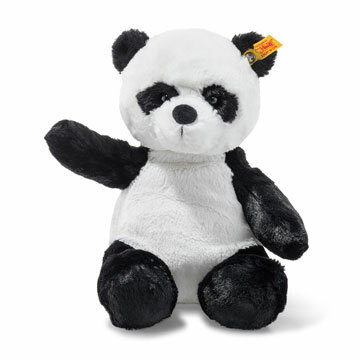 Shop The Toy Shoppe for the finest selection of Steiff Teddy bears and animals in the world! 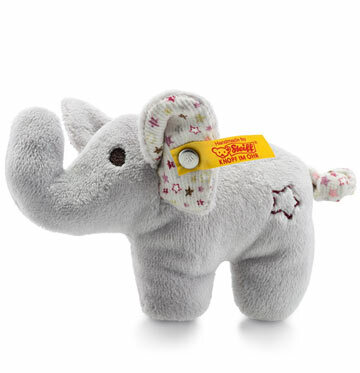 Each Steiff creation proudly wears an ear tag. Recognized worldwide, this symbol is a clear identification of genuine Steiff products and quality. 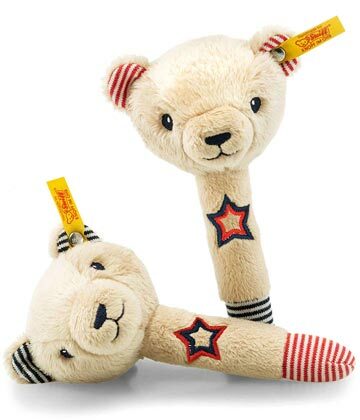 Every original Steiff animal with Steiff's world famous trademark, the "Button-in-Ear", shows that this is one of the many, wonderful creations from the vast Steiff assortment - an unmistakable original from the famous company with a long-standing tradition. 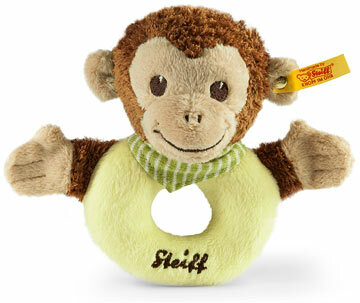 Both big and small Steiff fans immediately recognize the yellow ear tag. 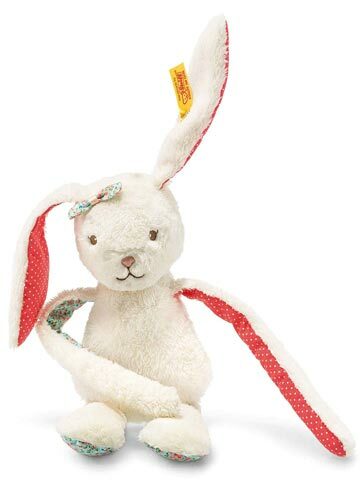 All the animals and Teddy bears at Steiff are very pleased to receive the extraordinary distinction of the white & red ear tag because these are produced in a limited edition. Only a limited number is available and some are only available in certain countries. 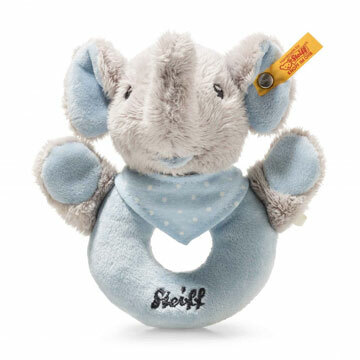 Each of these Steiff creations comes with a certificate that insures its authenticity. Each creation of the replica series by Steiff is an extraordinary historic character. 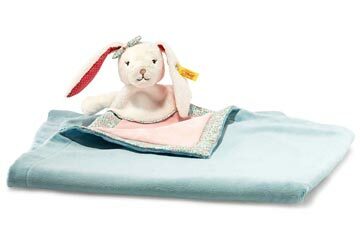 These true-to-original creations are reproduced exactly according to their historic Steiff role models. All replicas have a white & black ear tag to show their special status and the true-to-original "Button-in-Ear" from the respective year of production. 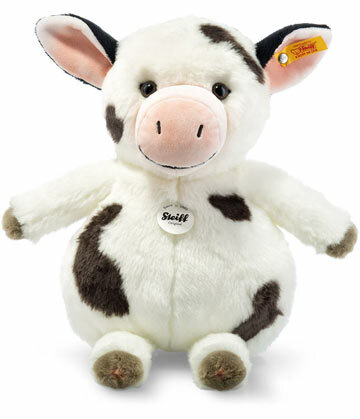 The Steiff Selection Series is a marriage of the modern and the traditional. High-quality decorative animals - with a design based on the latest trends in the fashion industry and handmade from the finest fabrics and materials - which, despite their fashionable looks, still have the unmistakable natural design that makes Steiff unique. When two legendary companies such as Steiff of Germany and Swarovski combine their talents, the results are truly spectacular. Both are respected around the world for their creativity and expertise. Since 2005, these two companies have collaborated on several unique projects bringing innovation, interesting characters and delightful editions to collectors. 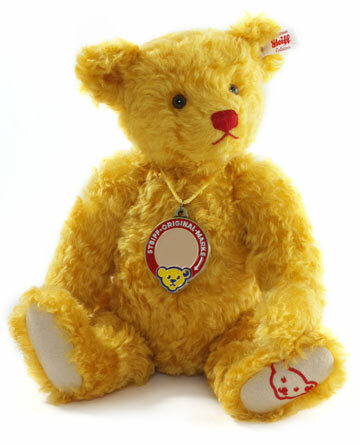 Many of these highly sought-after editions have included beautiful Swarovski crystal ornaments draped around the neck of a friendly Steiff Teddy bear. This year's Cookie, The Holiday Bear is a terrific Teddy bear with a distinct Gingerbread man ornament. In other editions, Steiff has actually embedded Swarovski Element crystals in the paw pads of the Teddy bear for a glittering - ever changing - appeal. The 2012 Steiff Teddy bear Diamond has brilliant crystals in all four paw pads. When Steiff introduced Dorothy Teddy bear from The Wizard of Oz, they set "ruby" Swarovski crystals in her paw pad in the shape of the movie's logo... amazing! One of the most notable results of this partnership has been the striking Xillion crystal used as the anchor in the Button-In-Ear tag. The Steiff Button-In-Ear tag was originated by Margarete Steiff's nephew Franz in 1904 as a way to identify Steiff Teddy bears and animals from counterfeits. 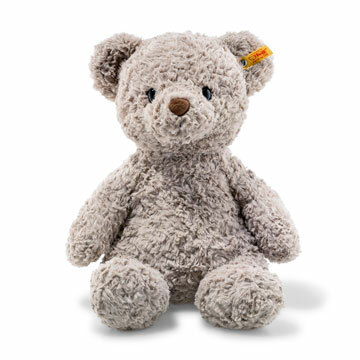 Voted one of the world's most recognizable trademarks, the basic design has remained the same for over 100 years and has been the symbol of Steiff quality Teddy bears! The importance of Steiff's collaboration with Swarovski is clearly demonstrated by Steiff creating this new Button-In-Ear design using a Swarovski crystal in a select few of their limited editions! 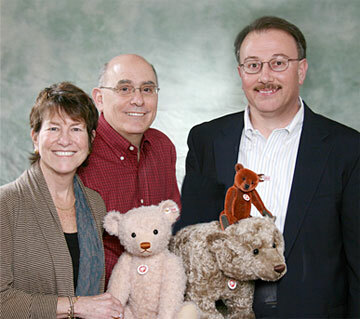 Both companies bring their own artistic vision and talents to each new Teddy bear. 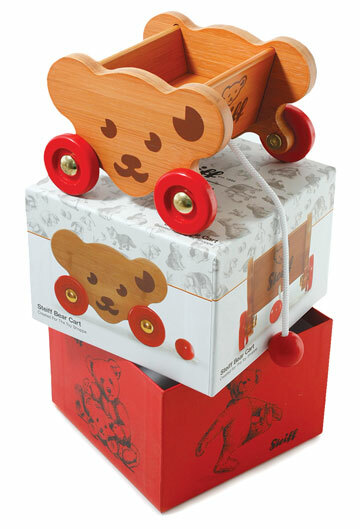 It is a wonderful combination of the best of traditional Teddy bears with the fresh twist of modern elements. 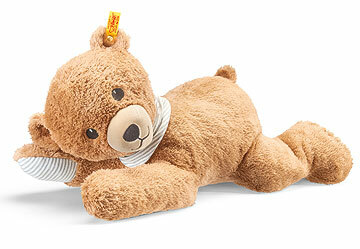 Steiff collectors have fallen in love with these exceptional editions. 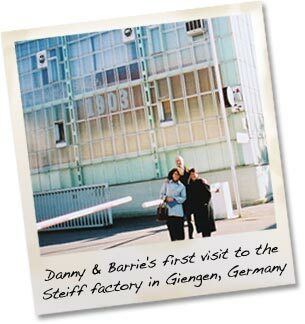 Photo shows Danny and Barrie of The Toy Shoppe in one of their many visits to the Steiff factory and archives seeking inspiration for our Toy Shoppe exclusive editions by Steiff. Manufacturing is so much more than just an empty word at Steiff. They have filled the term with life staying true to the tradition and spirit of the company's founder, Margarete Steiff. Where things are created by hand, there is always a lot of creativity, energy, ability, experience, enthusiasm for the little details and dexterity at work. 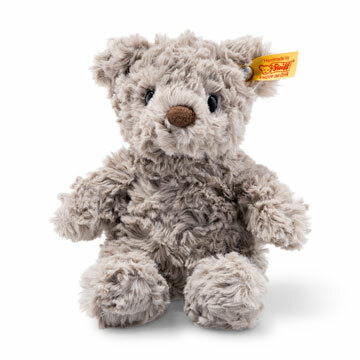 Steiff creations are hand made with lots of love - love of detail and love of the finished product itself. It is exactly this enthusiasm for the beautiful things in life, the extraordinary and the desire for perfection that you will feel when you hold a Steiff animal in your hands. Each Steiff animal tells his own story. He tells of his soft, comical or even untamed, wild, role models in nature. He reveals his own personal story of his journey from a bold vision, to an initial idea and his first birthday as a sample animal. He tells a tale of his creation from the finest materials - precious wool felt and cuddly plush of fine alpaca and mohair. His friendly eyes and hand stitched features reveal the moment in which he received his unmistakable character. 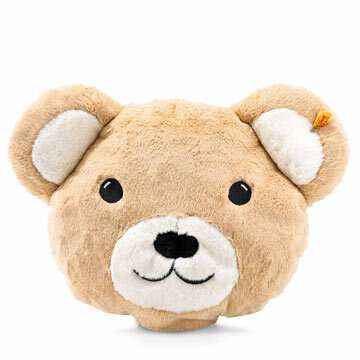 It seems as if time stands still for just a moment when you see that friendly, curious smile of your new Steiff friend for the very first time. 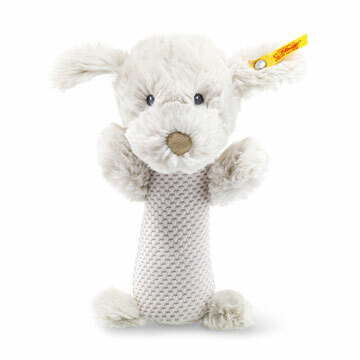 Your new friend is sure to make you happy and may even bring back memories you thought had been lost forever - memories to cherish and share with your Steiff friend forever. 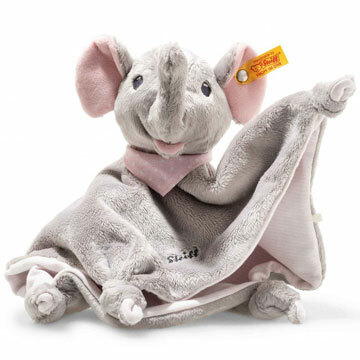 Steiff takes pride in using only the finest materials for each of their creations. 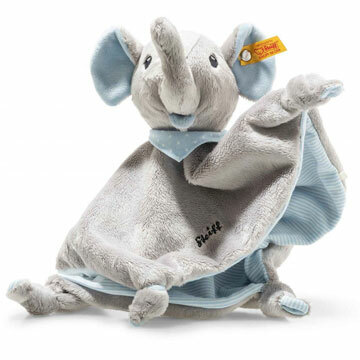 With their unique, silky-soft tuft, Steiff creations are always love at first touch. Each time you snuggle up with your Steiff friend, his soft cuddly nature will melt your heart and delight your inner child. The luxurious wool from the fur of an Alpaca is the warmest and thickest natural fiber that exists. Many years ago, Steiff discovered the exclusive alpaca for production of wonderful Steiff products. With its incomparable quality and lasting value, alpaca embodies an aesthetic quality and sensuousness at the same time. 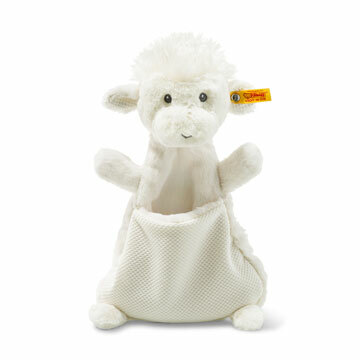 Thanks to the natural unsurpassable qualities of alpaca, Steiff creations retain their long lasting beauty. Silky smooth, lustrous and a gentle softness that invites you to touch and feel: all of these are characteristics of mohair. It is a fascinating natural fiber obtained from the very long, curly and sumptuous white fur of the angora goat - one of the most valuable races of goats in the world. Since 1901, Steiff has used this wonderfully lustrous, thick and velvety-feeling beautiful fiber to make their creations. 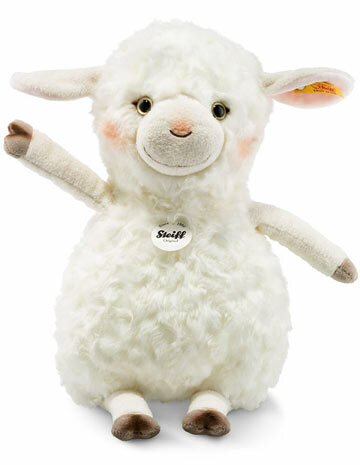 A Steiff animal owes its lifelike character to its exceptionally real and natural-feeling coat made of woven fur. This is the result of a unique three-dimensional weaving technique in which the wonderfully soft woven fur is made. The thread is woven perpendicularly into the cotton backing - thus giving each Steiff creation a lifelike character of their real role model. 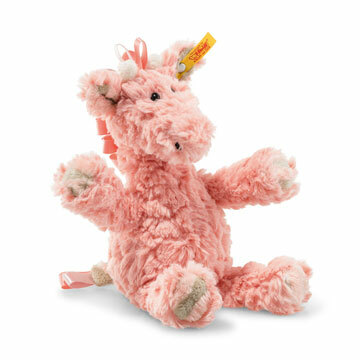 It is so delightfully soft that it entices you to cuddle them, stroke them and play with them. 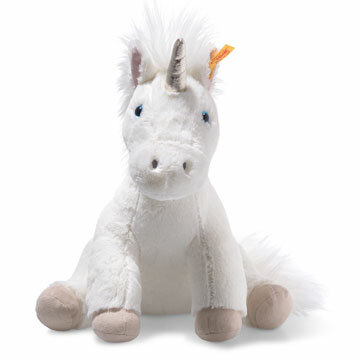 Plush Steiff animals are fluffy and feel particularly soft and gentle. 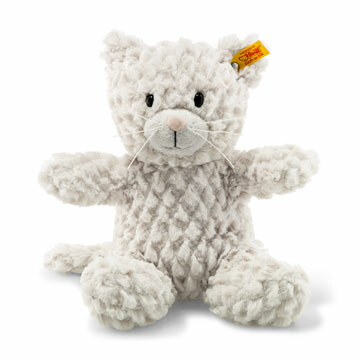 A special finishing technique gives Steiff's knitted plush fabric a unique combination of soft feel and high durability. Plush can be used for a multitude of applications and its functionality makes it the ideal choice for the special demands of children's sensitive skin. 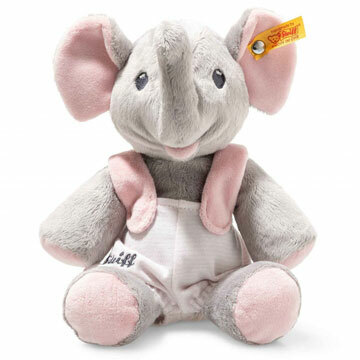 With their acquisition of the world-famous Schulte company in 2009, Steiff is the world's only manufacturer of stuffed toys with its own fabric factory. 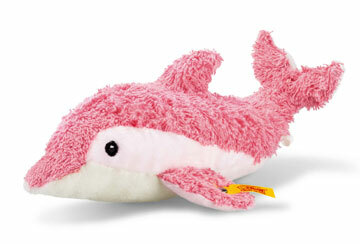 The Toy Shoppe has offered Steiff products since we first opened our doors in 1975. Their quality is legendary. This excerpt from the 2010 catalog stating the Steiff Purity Law will provide insight into Steiff's depth of commitment to the quality of their products. Pictured below is a young Margarete Steiff who founded Steiff in 1880 and established the company's commitment to quality when she devised their motto. We voluntarily go far beyond the legally required standards and even surpass them. Because we are convinced that only animals which pose no health hazard deserve the good name Steiff. We have high expectations of our suppliers whom we oblige to adhere to the strict Steiff guidelines. We extensively examine all the basic materials before they are used in production. We have voluntarily imposed stricter regulations than required by law for all our dyes and colours. 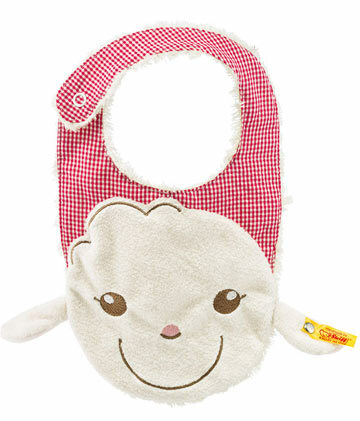 Children can put Steiff products in their mouths without any misgivings. Only the finest natural fibres, such as mohair and alpaca or woven fur made of synthetic fibres, are woven in our own weaving manufactory, Steiff Schulte in Duisburg. Furthermore, we use only carefully-selected, inspected materials by well-known manufacturers. 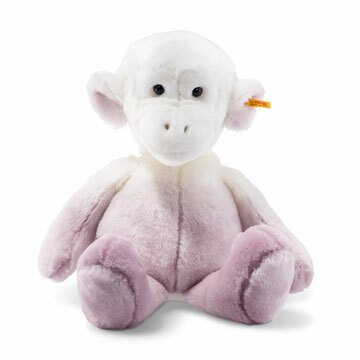 The plush of a Steiff animal has always been something special. It is extraordinarily true-to-nature, soft, long-lasting and does not lose any hair. We use only lint-free uppers made of the highest quality. 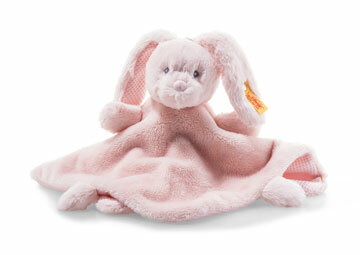 We use exclusively new and non-harmful materials from the factory for the fillings of our Teddy bears and soft animals. The fillings of our animals are, of course, inspected by Oeko-Tex. This is ensured by the standardised Steiff seam width as well as the high density of seams, which is typical only for animals from our company. 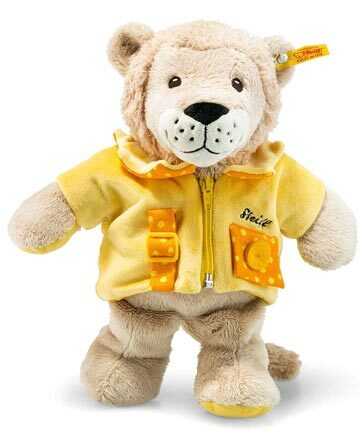 A Steiff animal will last a lifetime. For the production of our animals, we pay careful attention that we adhere to all hygiene and cleanliness standards. For example, that is why use metal detectors during all the production processes. Throughout the various production steps, we produce continuously environmentallyfriendly as well as in view of the flawless quality and longevity of our products. 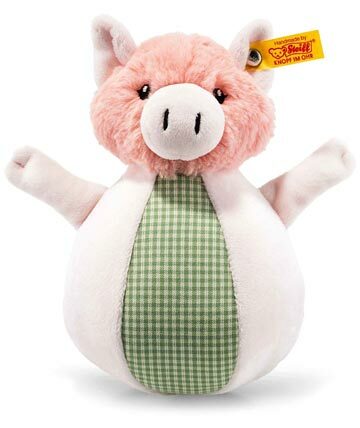 A Steiff animal can be a companion throughout a whole childhood and still be a source of joy even as an adult. based on the beloved character originally created by George Studdy in 1911.